Great Ormond Street Hospital is buzzing when I arrive in the early evening to interview Rachel Bryant-Waugh. It’s an energising place, set in one of these villagey areas in the centre of London. 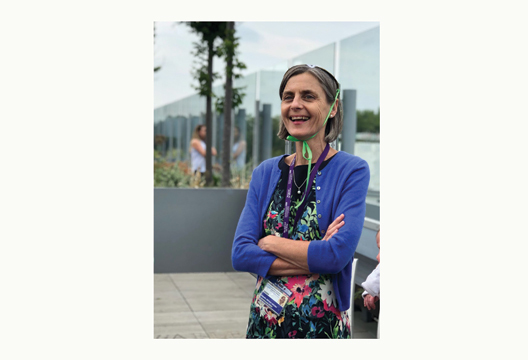 Rachel is leaving the Feeding and Eating Disorders Service at the hospital, with which she has been associated for almost 35 years. She has a fascinating story to tell with, I suspect, new chapters to be written. At the end of the 1980s, Rachel and Bryan Lask set up the first UK programme dedicated to treatment of childhood eating disorders. This focus allowed them to identify a range of clinically significant eating difficulties, all with serious consequences for everyday functioning, and negative implications for health and development. These included what was then known as pervasive refusal syndrome – a refusal to eat, drink, talk or even walk – but without the anorexic’s obsession with weight. This focus on childhood onset feeding and eating disorders is one of the achievements she’s proud of – what are some of the others? ‘Well, I suppose I’d say I was “content with” certain things I’ve done rather than “proud of” them. Co-writing Eating Disorders: A Parent’s Guide is an example. I wrote it after having my third child by getting up at four every morning and writing for two hours. But the real reason I mention it is that it seems to have helped so many people. It’s not an academic book but tries to do exactly what it says in the title. It’s good to know that you’ve affected people’s lives for the better.